International Editor for moonset (Oregon, USA); a member of the World Haiku Club and the Haiku Oz (Australia); founder and co-moderator of the Facebook group "We Are All Japan" and co-editor of the We Are All Japan anthology. She was recently appointed Ambassador for Serbia at the United Haiku and Tanka Society (e-news bulletin, Seedpods) [http://www.unitedhaikuandtankasociety.com/ambassadorsuhts.html]. Her haiku have been included in over ten national and international haiku anthologies and in a number of national and international haiku magazines. They have been translated into English, Japanese, Chinese, Macedonian, Slovenian, Croatian, German, Czech, Bulgarian, Russian, Polish, Dutch, Norwegian, French, Italian, Hungarian, Romanian and Greek. She has received more than 60 awards and commendations in contests held in her country, in Japan (Water, Lake and Sea; Suruga Baika; Basho Festival; Ito en; Mainichi), Germany, Croatia, Bulgaria, Canada, the USA, France, Romania, and India. 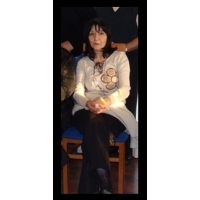 Largely, through her translation efforts she has brought English-language haiku poetry, articles and books to Balkan readers and vice versa. Vaić is the editor of the bilingual Haiku Reality (http://haikureality.webs.com/indexeng.htm). She is the author of an e-book of haiku poetry entitled muddy shoes candy heart, edited by Anita Virgil and published by Peaks Press, USA (avirgil2@verizon.net). She has translated 40 books of haiku poetry by Serbian and some foreign authors (into English), as well as David G. Lanoue's novels Haiku Guy and Laughing Buddha into Serbian. Her translation of Ljubomir Dragovic's haiku book, Uska staza (A Narrow Road)  received an honorable mention for best translation in the Haiku Society of America's 2012 Kanterman Awards (for books published in 2011). Apart from haiku, Vaić also writes tanka, haibun and collaborative rengay. She also creates haiga, some of which have been published at the World Haiku Association's website, Kuniharu Shimizu's website See Haiga Here, Haiku Canada Review, Simply Haiku, as well as in the Contemporary Haibun series published by the Red Moon Press, USA. Her many longer poems and short stories as well as some literary articles and book reviews have also been published in a number of journals, in her country and abroad. Festival (Canada, 2014); Third Place, Bucijada (Ivanic Grad, Croatia, 2014); Third Place, Golden Triangle (USA, 2015); Third Place, Pumpkin Festival (Ivanic Grad, Croatia, 2015); Honorable Mention, Basho Haiku Festival (Japan, 2015); Honorable Mention, 17th HIA Haiku Contest (Japan, 2015). Credits: "cracked soil" - The Heron's Nest IX:2 (2009); "father's coffin" - Modern Haiku 39:2 (2008); "Guests gone" - Go-Shichi-Go with the Daily Yomiuri (August 2005); "winter evening" - "Poets in Focus", World Haiku Review (January 12, 2007); "let's cross the road" - Mainichi Daily News (March 15, 2007, No.693); "Climbing the station stairs" - Mainichi Daily News (July 6, 2009).